The first stage of every WikiHouse is design and cutting of the timber sheets. WikiHouseAU designs are derived from ‘Open Sourced’ creative commons. Computer Aided Designs (CAD) are converted to CNC (Computer Numeric Control) driver format. CNC cutting provides speed and accuracy in cutting sheet material. The parts are efficiently arranged in cutting patterns to save wastage and sheets coded W-wall, F-floor and R-roof for ease of use and checking. 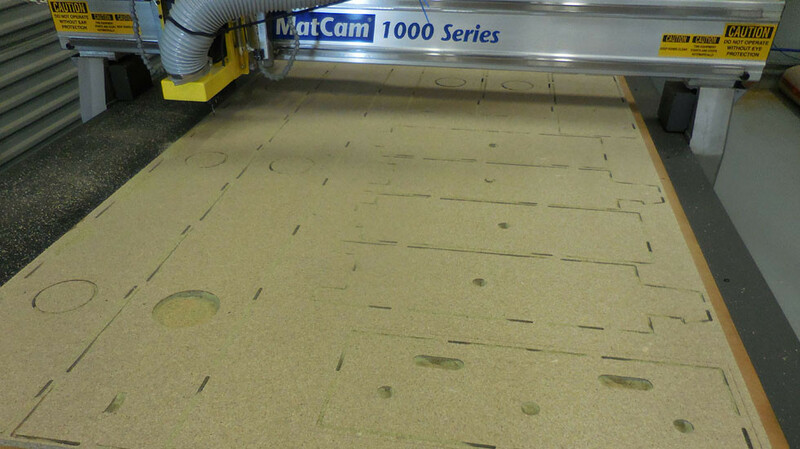 Sheets are CNC cut in ‘break out’ format (like an aeroplane kit) to control handling, efficiency with palettes stacked in the order of erection. 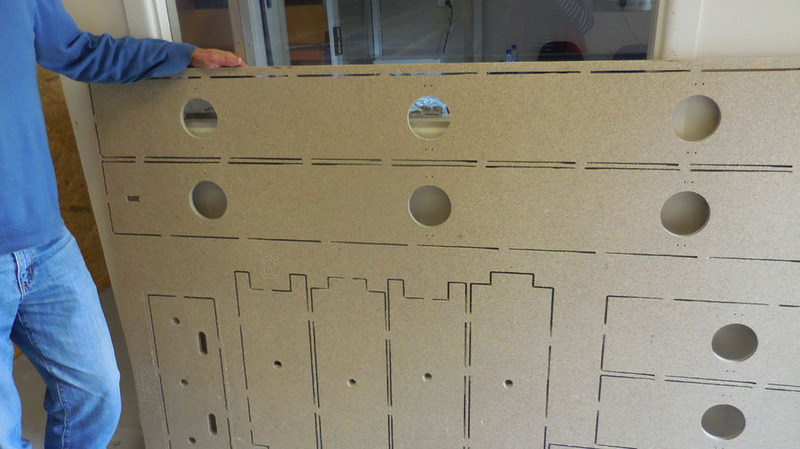 The CNC cut sheets are stacked in four separate palettes; floor, wall, roof cassettes and splines (elbows).